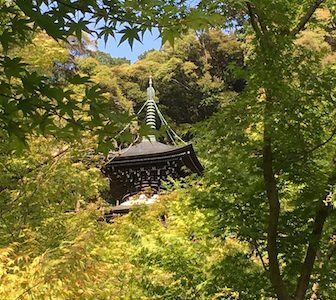 No visit to Kyoto’s Eikan-do would be complete without a visit to the hillside pagoda – though many visitors miss the amazing view because the path to the pagoda (and the fact that it’s open to the public) isn’t always obvious. The path lies past the dragon fountain, at the edge of the steep hillside incline at the back of the temple grounds. The Golden Pavilion, Kinkakuji, ranks among Kyoto’s most popular attractions, though many visitors know little about the temple’s history or architecture. 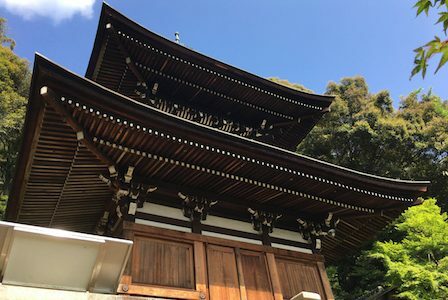 On Wednesday I blogged a little about the Golden Pavilion’s history (to read it, click here), so today I thought I’d share a little about the architectural details. Kinkakuji ranks high among Kyoto’s most popular tourist sites, and with good reason. Its famous golden pavilion, which stands on the edge of a peaceful lake, is a lovely and well-maintained example of Buddhist architecture. But many visitors don’t realize that “kinkakuji” (temple of the golden pavilion) is not actually the temple’s real name.